The movie based on Facebook called The Social Network will be directed by David Fincher and is set to release in theaters in 2010. The story of how Mark Zuckerberg's love life mixed in with the fast-paced success of Facebook will surely sell theaters out - possibly beating out Avatar. And here's how. No movie will have as much publicity as this film. And the greatest advantage is that all the advertising will be FREE. Lately the big news out of Universal Studios has been all Harry Potter all the time, and we couldn’t be more excited. However, officials have been busy thinking about some other theme park opportunities, and they’ve inked a deal to bring the magic of Hollywood to South Korea. Despite some slight delays and a temporary lack of funding, the newest Universal Studios will open when 2014 rolls around in Hwaseong City—not too far outside Seoul. The cranes and bulldozers are set to start turning up the earth next year. There will be the new park, condos, a golf course, and even a water park. The price tag on this whole project is about $2.67 billion, so we’re kind of expecting only the best of the best. No cutting corners here—maybe Universal saw what Disney’s impressive overseas offerings in Hong Kong were all about. There haven’t been too many details floating around this early in the game, but this park might be the biggest in the Universal Studios empire when the finishing touches are finally applied later this decade. We’d expect the usual theme park suspects including Spider-Man, Jurassic Park, and maybe, just maybe, Harry Potter will bring his wizarding world to somewhere besides Orlando. Classified - "Quit While You're Ahead"
Some really cool FX in this video. I'm going to make a video like this very soon. CitizenTaxFree: Free federal online tax preparation and e-file if your adjusted gross income is $57,000 or less, you are age 70 or younger and you live in the following states: AL, AR, AZ, CA, CO, CT, FL, GA, IA, ID, IL, IN, MA, MD, MI, MO, NC, ND, NJ, NY, OH, OK, PA, TX, VA and WI. Free extension. CompleteTax: Free federal online tax return preparation and e-file if your adjusted gross income (AGI) is $32,000 or less. This federal offer is valid in all states. Free extension. ezTaxReturn.com: Free federal online tax return preparation and e-file if your adjusted gross income is $57,000 or less and you live in the following states: AL, AR, AZ, CA, GA, IL, LA, MA, MI, MS, NC, NJ, NY, OH, PA, VA, and WI. eSmart Tax by LibertyTax Service: Free federal online tax return preparation and e-file if your adjusted gross income (AGI) is $57,000 or less, and you are 50 years old or younger. This federal offer is valid in all states. Free extension. En Español. 1040NOW.NET: Free federal online tax return preparation and e-file if your adjusted gross income is $57,000 or less, your age is 67 years or younger and you live in AL, AR, AZ, CA, CO, CT, DC, DE, HI, GA, IA, ID, IL, IN, KS, KY, LA, MA, MD, ME, MI, MN, MO, MS, MT, NC, ND, NE, NJ, NM, NY, OH, OK, OR, PA, RI, SC, SD, TN, UT, VA, VT, WI, or WV. H&R Block's Free File: Free federal online tax return preparation and e-file if your adjusted gross income is $57,000 or less and you are age 51 or younger. This federal offer is valid in all states. FreeTaxUSA.com: Free federal online tax return preparation and e-file if your adjusted gross income (AGI) is $57,000 or less and you live in one of the following states: AL, AZ, CA, CO, CT, GA, IA, ID, IL, IN, KS, KY, LA, MD, MI, MO, MS, NC, NE, NJ, NM, NY, OH, OK, OR, PA, SC, UT, VA, WI, or WV. Free extension. TaxSimple Ultimate Version: Free federal online tax return preparation and e-file if your adjusted gross income (AGI) is $57,000 or less and you are age 66 or less and you live in the following states: AL, AR, AZ, CA, CO, CT, DC, DE, HI, GA, IA, ID, IL, IN, KS, KY, LA, MA, MD, ME, MI, MN, MO, MS, MT, NC, ND, NE, NH, NJ, NM, NY, OH, OK, OR, PA, RI, SC, SD, TN, UT, VA, VT, WI, WV, or WY. ICANEFILE: Free federal online tax return preparation and e-file if your adjusted gross income (AGI) is $32,000 or less or if you qualify for the Earned Income Tax Credit. This federal offer is valid in all states. Free extension. EfileTaxReturns.net: Free federal online tax return preparation and e-file if your adjusted gross income is between $5,000 and $57,000, and you live in the following states: AL, AR, AZ, CA, CO, CT, DC, DE, GA, HI, IA, ID, IL, IN, KS, KY, LA, MA, MD, ME, MN, MO, MS, MT, NC, ND, NE, NH, NJ, NM, NY, OH, OK, OR, PA, RI, SC, SD, UT, VA, VT, WI or WV. OnLine Taxes at OLT.com: Free federal online tax preparation and e-file if your adjusted gross income is $57,000 or less and age 51 or younger. This federal offer is valid in all states. Free extension. 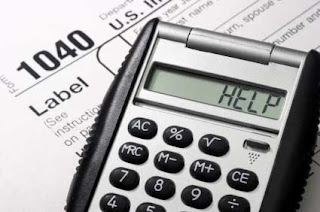 Online Tax Pros: Free federal online tax preparation and e-file if your adjusted gross income (AGI) is between $3,500 and $57,000 and you live in the following states: AL, AR, AZ, CA, CO, CT, DE, GA, HI, IA, ID, IL, IN, KS, KY, LA, MA, MD, ME, MI, MN, MO, MS, MT, NC, ND, NE, NJ, NM, NY, OH, OK, OR, PA, RI, SC, UT, VA, VT, WI, WV. Free extension. En Español. Free1040TaxReturn.com: Free federal online tax return preparation and e-file if your adjusted gross income is $57,000 or less and you are age 71 or younger and live in AK, AL, AR, AZ, CA, CO, CT, DE, HI, GA, IA, ID, IL, IN, KS, KY, LA, MA, ME, MD, MI, MN, MO, MS, NC, NE, NJ, NM, NY, OH, OK, OR, PA, RI, SC, UT, VA, WI, WV. Free extension. TaxSlayer: Free federal online tax return preparation and e-file if your adjusted gross income (AGI) is less than $57,000 and you are age 25 or younger, age 65 or older or active military. Also, if you qualify for the Earned Income Tax Credit or if your adjusted gross income is less than $10,000. This federal offer is valid in all states. Free extension. TurboTax® Freedom Edition: Free federal online tax return preparation and e-file if your adjusted gross income is $31,000 or less or if you are active military with an AGI of $57,000 or less or you qualify for Earned Income Tax Credit. This federal offer is valid in all states. Free extension. Free Tax Return: Free federal online tax return preparation and e-file if your adjusted gross income (AGI) is $57,000 or less and you live in the following states: AL, AZ, CA, CO, GA, IA, ID, IL, IN, KS, KY, LA, MA, MD, MI, MN, MO, NC, NJ, NY, OH, OK, OR, PA, SC, VA, WI, or WV. Free extension. 123Easytaxfiling: Free federal online tax return preparation and e-file if you are 70 years old or younger, your adjusted gross income (AGI) is $57,000 or less and you live in one of the following states: AL, AR, AZ, CA, CO, CT, DC, DE, HI, GA, ID, IL, IN, KS, KY, LA, MA, MD, MI, MN, MO, MS, MT, NC, ND, NE, NJ, NM, NV, NY, OH, OK, OR, PA, RI, SC, UT, VA, VT, WI and, WV. Free extension. FileYourTaxes.com: Free federal online tax return preparation and e-file if your adjusted gross income (AGI) is $57,000 or less and you are age 15 through 52 years old. This federal offer is valid in all states. Free extension. Free TaxACT: Free federal online tax return preparation and e-file if your adjusted gross income (AGI) is $57,000 or less and you are age 19 through 55 years old. This federal offer is valid in all states. Extensions e-filed for free. Free extension. ISECURETAX, INC.: Free federal online tax return preparation and e-file if your adjusted gross income is $57,000 or less and you live in AR, AZ, CA, CO, DE, ID, KS, MD, MI, MS, NC, NE, NY, OH or VA.